There are two constants in this vast region that covers most of the south of the province: landscape and its residents. Almazan from the capital to go through another large patch of pine forests. An area with powerful resinero past and an important wake of tradition and culture as denmuestran towns like Matamala de Almazan, Tardelcuende and Quintana Redonda. The largest town in this region and the province is the village of Almazan, which is surrounded by the wall that was recovered which gave the name. 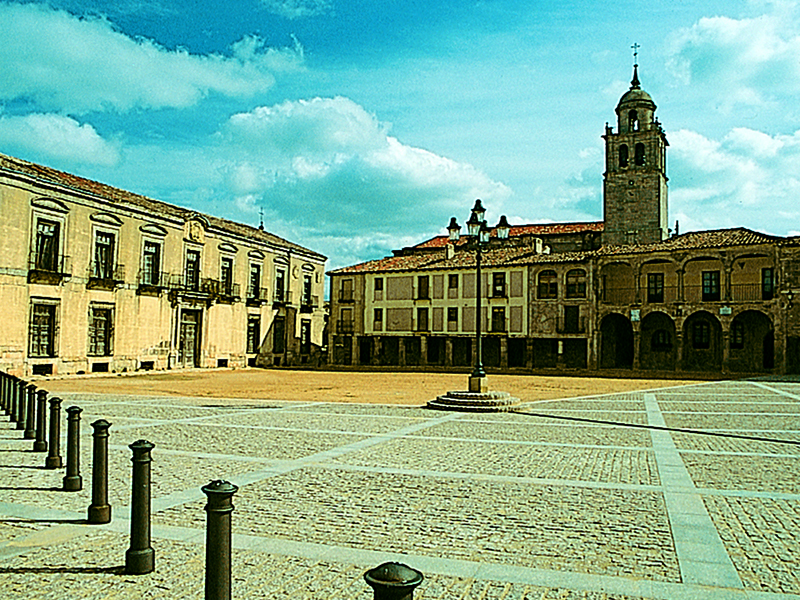 We turned to the southeast to approach Moron de Almazan, whose Renaissance square seems frozen in time and in which the Palacio de los Mendoza and Rivers, home to the Provincial Museum of Popular Suit Soria rises. 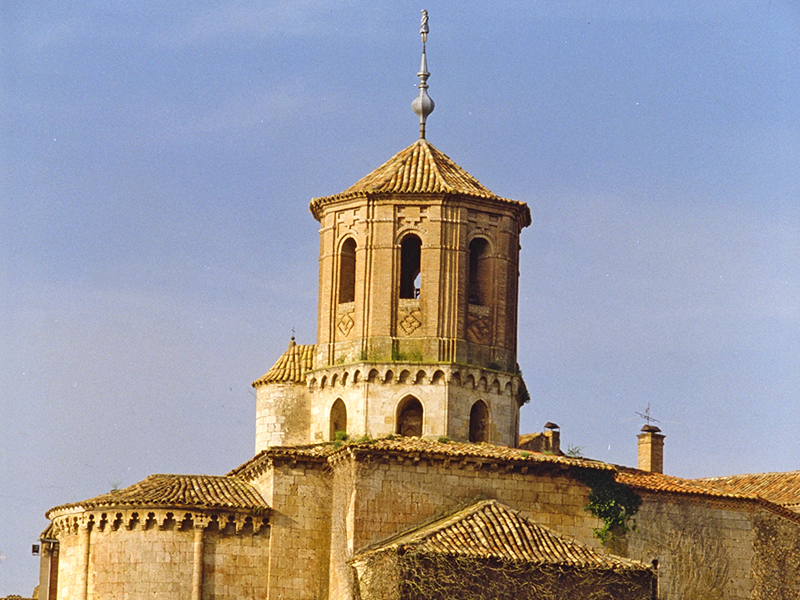 We continue in Monteagudo de las Vicarías after we reached an undeniable medieval jewel: the Cistercian monastery of Santa Maria de Huerta and the baldachin eighteenth century polychrome wood located in the sixteenth century church of Almaluez, unique treasure in Castilla y Leon. It is located near the railway Arcos de Jalon where you can visit the Railroad Mueso and not much beyond, Medinaceli. In it, many overlapping cultures have left their legacy in the form of arc, walls, temples ... first served border between Arabs and Christians and later dispute between the kingdoms of Aragon and Castile. Its golden age came from the hands of the Catholic Monarchs, whose court was established in the town on several occasions. 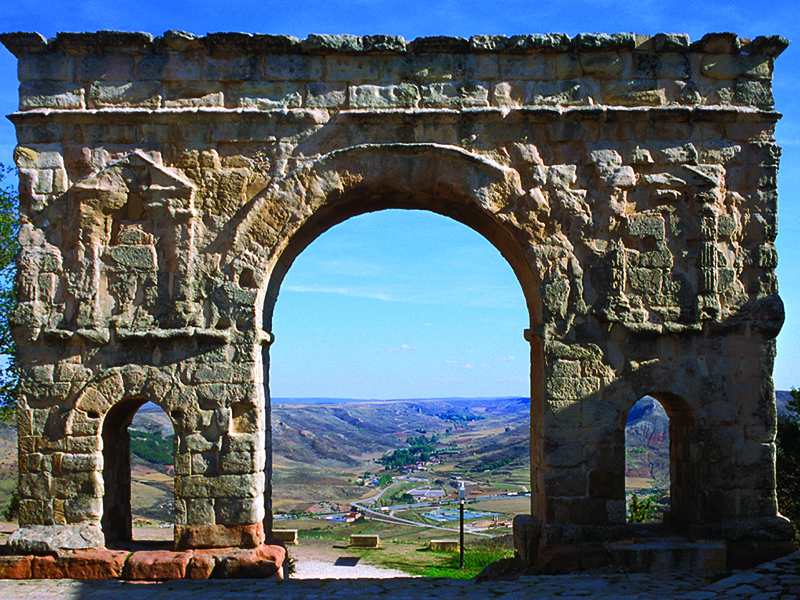 This town deserves obligatory stop to enjoy its impressive monumental catalog: the Roman Arch, only triple arch that is conserved in the peninsula built in the first century. C., its fourteenth century castle, the wall, Plaza Mayor, the Romanesque church of San Miguel, Gothic-Renaissance palace of Altamira and the remains of its medieval walls. We can take this as a starting town different monumental routes through the region. 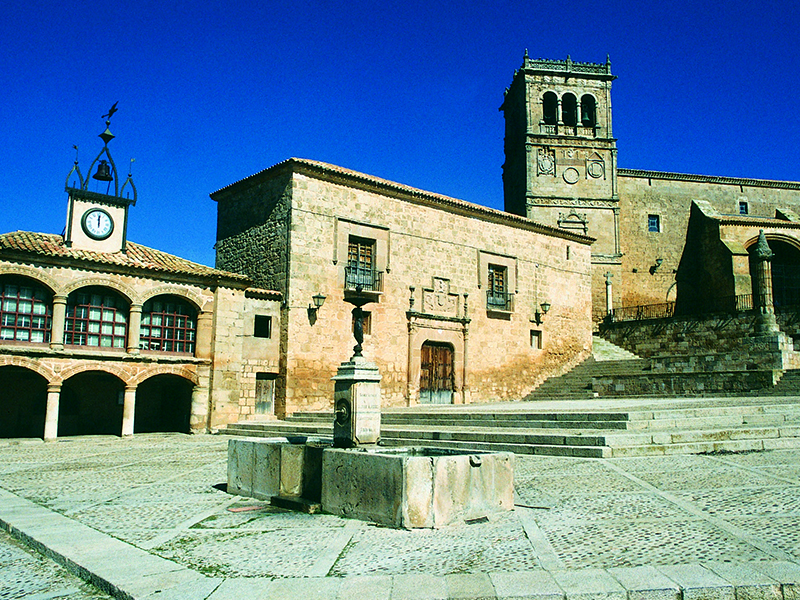 Romanillos offers Romanesque, road and Roman fountain, anthropomorphic medieval tombs and an ethnographic collection, but the whole region is rich in Romanesque demonstrations, which spread in other towns like Barca, Escobosa, Partridges, Viana de Duero, Villasayas, Nepas, Nolay, Maján and Adradas. In Somaén highlights its tower of the fourteenth and fifteenth century, the Castle, the Church of Our Lady of the Assumption..; in Chaorna the remains of the medieval castle in Judes its lagoon and its extensive sabinar Iruecha and the party of the soldiery. But without doubt one of the unmissable excursions is what leads us to Ambrona, the Lower Paleolithic prehistoric site most important in the Iberian peninsula where you can see fossilized remains of aurochs, horses, elephants bones ... 300.00 years. And small towns way but with an important attraction as the walled town of Rello, Miño de Medinaceli, Yelo or Barahona, whose serenity and tranquility will invite to feel the authentic rural soriano can still offer.